At Cedar Hill, we measure our success by the lives we touch in the care we provide for our residents. However, we must admit, it’s gratifying to be recognized by our peers for a job well done. Here are a few of our awards and accolades. allows consumers to compare information about nursing homes. It contains quality of care information on every Medicare- and M edicaid-certified nursing home in the country, including over 15,000 nationwide. 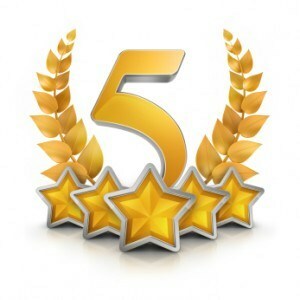 For the third year in a row, Cedar Hill received a 5-star rating. Only 2 continuing care communities in the state received that top rating. 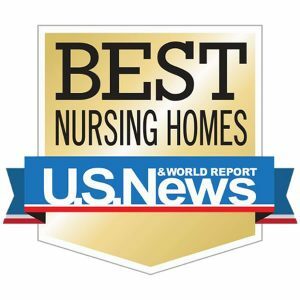 Every year U.S. News highlights the top nursing homes in each state in nearly 100 major metropolitan areas. Data for this award is drawn from the Centers for Medicare & Medicaid Services, the federal agency that sets and enforces standards for nursing homes. The “Best Nursing Home” designation is given to skilled centers that recently earned an overall rating of five stars, the agency’s highest. Each skilled center is also rated separately on quality of care, health-inspections record, and level of nurse staffing. For the 2nd year in a row, in 2015 we were awarded 5 stars! The National Quality Awards are presented annually by the American Health Care Association (AHCA) and National Center for Assisted Living (NCAL) to recognize long-term care providers that demonstrate excellence in performance. Award levels are based on criteria adopted from the Malcolm Baldrige National Quality Award (MBNQA) Health Care Criteria for Performance Excellence. The award is the first of three distinctions possible through the National Quality Award Program, presented by the American Health Care Association and National Center for Assisted Living (AHCA/NCAL). 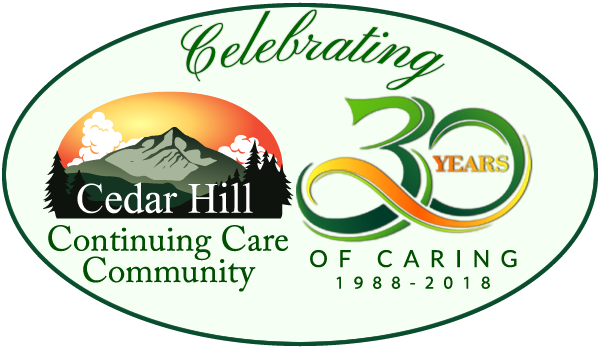 In 2015, Cedar Hill was the recipient of the DAIL (Department of Disabilities, Aging and Independent Living) Quality Incentive Award, which recognizes outstanding nursing homes that have met high standards of quality care for their residents. The award is granted based on results of health and life safety surveys, cost effectiveness, a lack of substantiated complaints and resident satisfaction survey results. 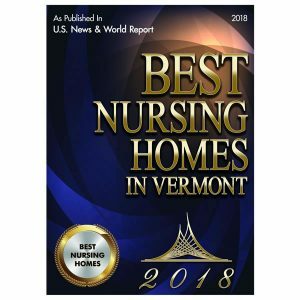 The award, offered annually to nursing homes in Vermont meeting certain criteria, looks at resident and family satisfaction, state survey results, participation and data entry into the National Advancing Excellence Quality Program, and lack of family complaints. In 2016 Cedar Hill Founder Mary Louise Sayles was awarded the Lifetime Achievement Award for her lifetime of service to seniors. In 2017 Cedar Hill won three more awards at the Annual Banquet. See our blog for the full stories. Cedar Hill Continuing Care Community is proud to announce their selection as a 2016 Best of Assisted Living Award Winner on SeniorAdvisor.com, the largest ratings and reviews site for senior care and services in North America. 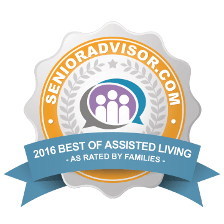 Winners of the SeniorAdvisor.com Best of 2016 Awards are located all over the country and represent the top tier of in-home care, assisted living, and other senior living providers, based on the online reviews written by seniors and their families. Of the nearly 100,000 providers currently listed on SeniorAdvisor.com, only 879 were recognized with this award. This exclusive designation places the winners in the top one percent of senior care providers nationwide according to those who matter most – their families. To qualify for inclusion in the Best of 2016 Awards, providers must have maintained an average overall rating of at least 4.5 stars while receiving three or more new reviews in 2015. A Place for Mom honored Cedar Hill with the 2014 Best Pet Friendly Senior Living Award. A Place for Mom is on a mission to spread the word about the benefits of pet-friendly assisted living and we are proud to be a part of this growing movement in senior living. 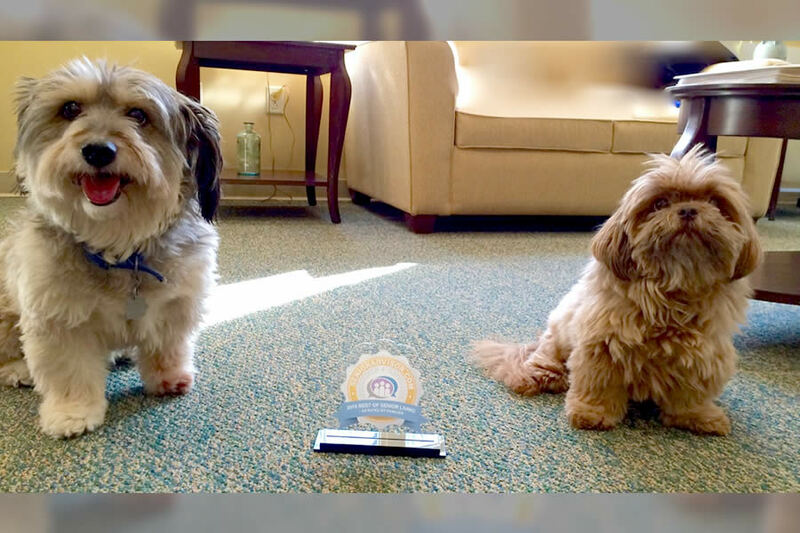 Cedar Hill spokespets Darlin’ and Diva are very proud of their award!